The guys over at Computer Shopper have managed to get their hands on one of Shuttle’s new small form factor Linux PCs the Shuttle KPC. Here’s a snippet of what they had to say about this new low cost Linux PC. 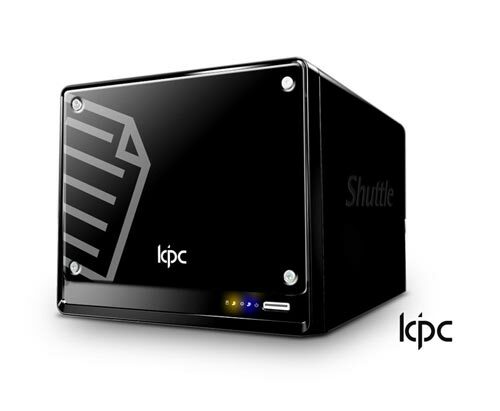 The KPC is not about high-performance computing (which you shouldn’t expect at the price). Still, it’s hardly lame. We stacked it against an older 3.2GHz Pentium 4 system running Vista Ultimate, with 2GB of memory and a 320GB hard drive; it’s a computer we’ve overclocked and upgraded over the years to keep relevant, but it’s one that really should be retired. Using basic productivity software”Firefox, Microsoft Word and Excel, as well as the latter two’s OpenOffice.org equivalents Write and Calc”the little KPC held its own. Loading a large Excel spreadsheet that required a significant number of recalculations was an 8.2-second task for the Pentium 4, but it took just 6.3 seconds on the KPC. An intricate Web page with multiple links and images took Firefox 5.4 seconds to load on the Pentium 4 but only 4 seconds on the KPC. Finally, the two practically tied when doing 895 “Find and Replace” operations: Word finished in 0.68 second, while Write was just behind it at 0.66 second. Keep in mind that adding additional memory to the KPC should boost performance. Overall they have given it an 8 out of 10 which is pretty decent considering the low cost of this mini Linux PC, I cant wait for this to hit the stores as it is at the top of my gadget shopping list, I will post a full review when I manage to get my hands on one. Head on over to Computer Shopper and read the full review.